October 17, 2016 (NEW YORK, NY) — CAIS has been awarded the 2016 WealthManagement.com Industry Award for Hedge Funds/Private Equity, in recognition of pioneering access to alternative investment funds and its expanded efforts with Mercer and Fidelity Institutional to level the playing field for independent financial advisors. The WealthManagement.com Industry Awards recognize the companies and organizations that support financial advisor success; over 400 Industry Award nominations were submitted by more than 300 companies, from which a panel of distinguished judges selected the winners. “The CAIS team is honored to accept this award. It reinforces our core value proposition to the independent wealth management industry of improved access, information and operational efficiency for alternative investment funds and products”, said Matt Brown, CAIS Founder and CEO. “CAIS will continue to democratize access to in-demand financial products and remain the go-to platform for registered investment advisors”, Mr. Brown continued. 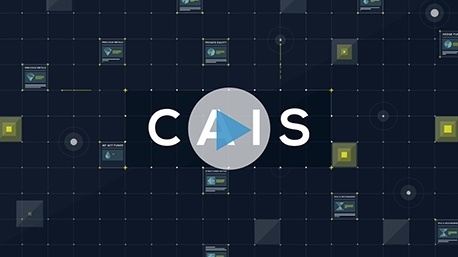 Founded in 2009, CAIS is the leading fintech platform offering registered investment advisors (RIAs) and other wealth managers access to a diverse menu of third-party funds and products. The platform couples the advantages of product access with end-to-end electronic execution and reporting, allowing advisors to overcome many of the hurdles associated with adding alternative investments to client portfolios. The platform offers an expanding menu of hedge funds, private equity funds and real estate funds from both established and emerging asset managers. All funds are required to undergo independent due diligence by Mercer and summary reports and ratings are made available on the platform to all advisor members. “This award comes at a time when many leading asset management firms seek efficient access to the fragmented RIA channel. CAIS continues to lead the industry and is uniquely positioned as the platform of choice for those firms”, commented Cara Williams, Mercer Senior Partner and Global Head of Wealth Manager Solutions. CAIS has leveraged its dynamic technology platform to engage with independent financial advisors throughout the advisor ecosystem. Integrations with major wealth management custodians and reporting platforms offer single sign-on and data exchange capabilities for automatic enrollment as a CAIS Platform Member. Membership is complimentary and affords advisors a personalized user experience as well as access to premier research content. Wealth management firms that clear or custody with Fidelity Institutional can also seamlessly sign into the CAIS platform to access a wide variety of fund managers and strategies. CAIS (www.caisgroup.com) is the leading open-architecture financial product platform offering independent wealth management professionals access to a diversified menu of funds and products. CAIS provides streamlined execution to an expanding list of alternative investment funds, IPOs and follow-ons, structured notes and real assets. CAIS delivers a suite of portfolio construction and reporting tools, and complements its fund offering with independent due diligence provided by Mercer.